Home » Zfactor » Pictures » Angry with your computer? No matter how helpful the computer is in todays society, I can garuentee that there has never been one person that hasn't been fustrated with their computer at least once. 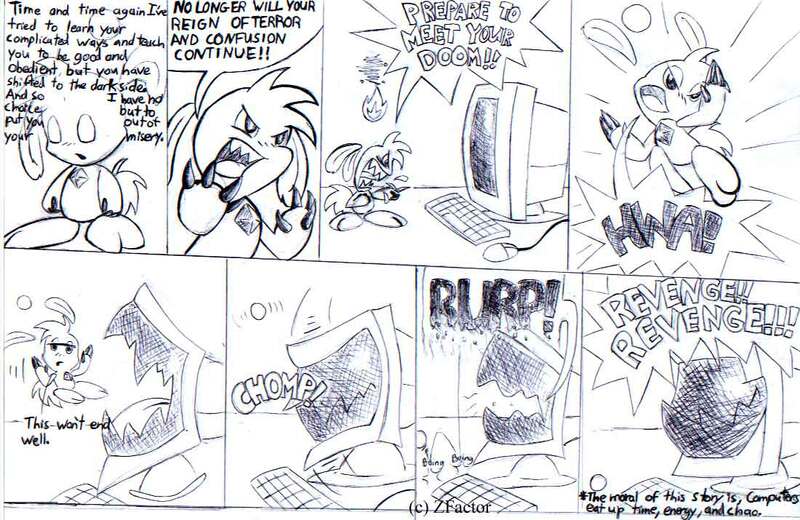 The little animal that is yelling at the computer is a chao. This comic's old, but it's still kind of funny.